Saskatchewan born Kendal Netmaker’s LinkedIn profile impresses: Founder of Neechie Gear, Keynote Speaker, Author of Driven to Succeed, Coach at Netmaker Academy, and Investor—remarkable accomplishments for a young man barely in his thirties. Netmaker’s accomplishments make him an ideal keynote speaker at the ‘Building our Future: A Business Conference for Young Indigenous People’ November 2-4, 2018 at Tigh-na-mara in Parksville, BC hosted by NEDC (Nuu-chah-nulth Economic Development Corporation). Netmaker will join other successful Indigenous and/or young business entrepreneurs aiming to inspire young aspiring Indigenous entrepreneurs. The three-day conference promises to inspire Aboriginal youth with valuable information from other thriving professionals. 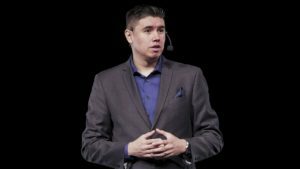 Undoubtedly, entrepreneur and First Nations speaker Netmaker knows how to weave a story about overcoming adversity to become a success in your own right. He shares his account of being given a chance as a child growing up on the Sweetgrass First Nation in Saskatchewan. His low-income family could not afford recreational sports fees, but a friend’s family paid his way to play sports. He seized that opportunity and others soon followed. 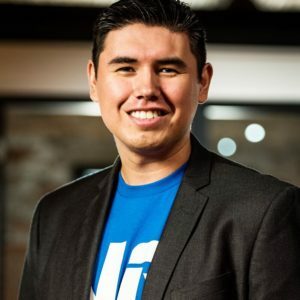 After experiencing life in a shelter and living in cramped quarters as his single mother did her best to raise her children, this upbeat role model for other Aboriginal youth proceeded to finish two degrees from the University of Saskatchewan, and invested in five businesses, the most notable being Neechie Gear. Neechie is a Plains Cree slang form for ‘my friend’ and honours the gift of sports his friend’s family offered him as a child. This gift motivated him to eventually give back to other disadvantaged youth. Netmaker shares his life story of struggle, adversity, and transforming hardship into opportunity and growth to inspire other Indigenous young people to avoid alcohol and drugs and choose sports instead. Presently, Neechie Gear makes a positive impact by donating 5% of its annual profits to help underprivileged kids play sports. Additionally, this top-class speaker has received over 25 business awards, including being named to the ‘CBC Future 40’ list in 2013. Netmaker continues to travel worldwide addressing audiences on making a positive impact in their own lives. He seized opportunities that came, saw them for what they were, and proceeded to work hard to achieve new ambitions. Kendal Netmaker mentors and emboldens thousands of youth across Canada and worldwide to take charge of their futures in business. He balances it all with his wife and two children by his side. His mission to empower other entrepreneurs to be their best and achieve their goals helps youth write their own stories. Find out more about this inspiring young man at www.kendalnetmaker.com. Join NEDC and Netmaker at the Tigh-na-mara Resort in Parksville for a rousing weekend on how to drive your own success and thrive.